Hawaii is an amazingly romantic destination. Perfect for a wedding, honeymoon or a dream get away. The fabulous beaches and luxury resorts combined with the tropical weather means you’ll fall in love with the islands almost as soon as you land. You’ll be forgiven if you stay in the comfort and luxury of your resort, having your every need catered to. Though if you never leave the resort you’ll be missing the awe inspiring marvels that Hawaii has to offer. Whichever island you are staying on it’s well worth hopping across to Big Island to visit the Volcano National Park. Hawaii has many active volcanoes and there are five on Big Island. Only three of the five are active and the most active is Kilauea. This is Big Island’s youngest volcano and seems to be going through a teenage growth spurt. Kilauea has been erupting since 1983. Every single day it spews out enough lava resurface a 20 mile long road. This huge quantity of lava has added approximately 500 acres to the surface area of Big Island. What the volcano gives with one hand it takes with the other. Big Island has lost over 181 homes, a church and a number of other buildings to the lava flow. You may be wondering why on earth we are suggesting you visit this active volcano. 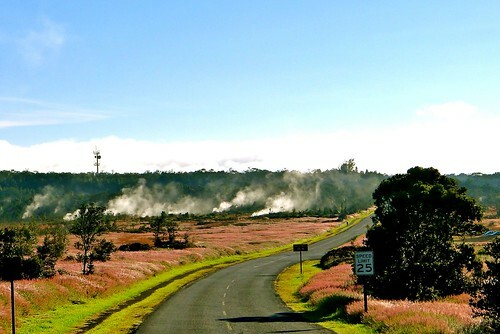 The Volcano National Park is perfectly safe if you pay attention to the park rangers. Also this is an amazing chance to see firsthand one of the most raw and powerful natural displays on the planet. The eruption of Kilauea is not a rapid violent affair, is more of a persistent rising of lava. The lava forms into tubes which directs much of the flow out to sea. Lava tubes are a fascinating formation created by lava’s contacted with the much cooler island air. As the lava flow increases the size of the tube an unique ecosystem forms. We’d suggest taking a guided tour of the tubes. As you will be standing inside a natural feature created by an active lava flow, please pay attention to the rangers! Hawaii’s volcanoes are an integral part of the mythology and legends of the islands. Pele is the goddess of the volcano and Kilauea is her domain. If you want some spiritual protection from the raw power of the earth, you’d be wise to take some pork and gin with you. This isn’t to fortify you, but should be wrapped in ti leaves and left as an offering for Pele. This fiery tempered goddess is celebrated in local art and the tear drop lava forms are called “Pele’s tears”. It is not wise to take one of Pele’s Tears as a souvenir of you visit. Many who have done so have had to mail the stone back to Hawaii in an attempt placate the deity who has visited misfortune upon them. A local superstition, maybe, but it is wise to respect the landscape of the national park in the same way you would respect a coral reef. As for the offerings of pork and gin, when you are in the presence of a volcano that has been erupting for 26 years there’s no harm in keeping the local goddess happy. Hawaii is somewhere I've always wanted to go although have been deterred by friends and family who have been there who say its now too packed with tourists. The volcano national park suggestion is definitely swaying me towards revisiting my holiday in Hawaii option though. Thanks! Sounds great. I love reading travel articles (I want to go everywhere)! Holey moley!! What a dream for a Friday afternoon....Hawaii is somewhere i've always lusted after because of it's balance between beaches and seriously good shopping!! Now thanks to Chelsey I have many more reasons to pop on over.....better swing into action while the exchange rate is so fantastic!! Interesting, when I hear of Hawaii I always think beaches, surf etc - to learn about the volcanoes is new. Haven't visited here but would love too. Hawaii is an amazing cocktail of Pacific and American culture - for that alone it is well worth a stopover next time you head to LA or San Fran. 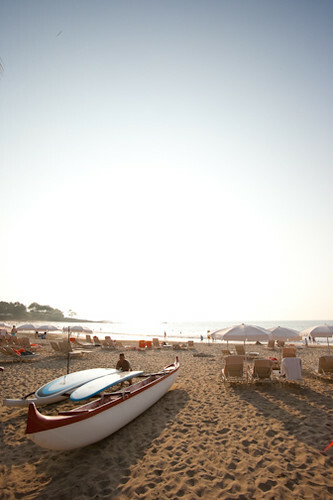 I loved Hawaii, its not packed if you just go 5 minutes out of Waikiki, totally deserted beaches. It was a awesome holiday would love to go back there some day. It so cool to learn all the new spots that are "kiwi holiday" destinations - from the uk I used to just go to europe, but found it increasingly dirty, noisy, rude and overcrowded! I would love to get away to Hawaii, it is my first holiday destination pick for sure!